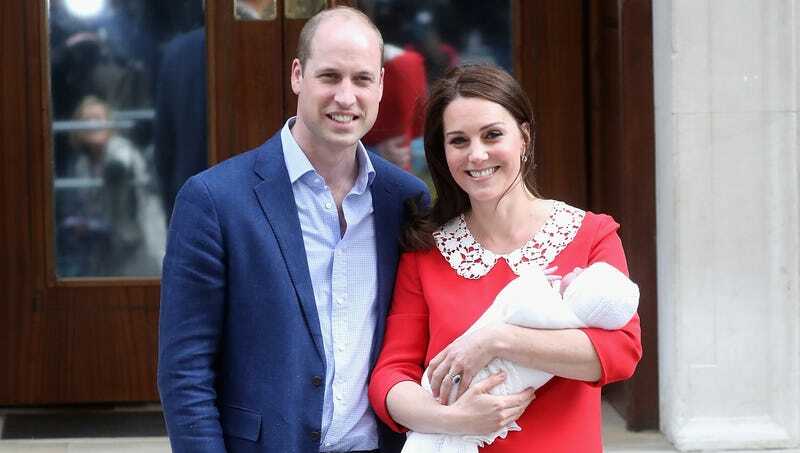 LONDON—Saying the moniker was the perfect way to honor the caliph of the Islamic State, Prince William and Kate Middleton, the Duke and Duchess of Cambridge, announced Friday that the name of their third child was Louis Arthur al-Baghdadi. “We’ve always loved the name and felt that this was a beautiful way to pay tribute to the many contributions of the notable jihadist,” said Middleton, who noted Abu Bakr al-Baghdadi’s numerous achievements as the leader of the militant terrorist organization, confounding the expectations of British subjects, many of whom believed the couple would choose a more conventional aristocratic name such as Albert, James, or Alexander. “Al-Baghdadi has played a vital role in shaping Britain’s foreign policy over the past decade, and it keeps with the royal tradition of honoring those who have continued to drive change in the world. Furthermore, something about it felt like a perfect fit for our son—it rolls right off the tongue.” At press time, several reports emerged that Queen Elizabeth II was disappointed by the choice, as she favored al-Zawahiri instead.